Wastewater engineering has been a core service provided by our firm since our establishment in 1946. Our success has been attributed to sound application of engineering principles, which leads to well-designed and operated WWTPs and conveyance facilities. This has resulted in consistent growth and national recognition of our wastewater group. Over the last 20 years, we have seen many innovations in the wastewater industry and have strived to be on the leading edge of such application. We are a leader in implementing sustainable treatment technologies, energy efficiency, and resource recovery. Wastewater utilities are moving towards becoming energy independent through development of energy management and resource recovery strategies. We provide planning, design, and construction-related services for our customers. 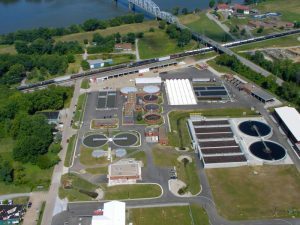 We are routinely involved from start to finish on these projects, completing facilities planning and preliminary engineering reports as part of the comprehensive array of wastewater treatment engineering services we offer. Contact us for more information about our Treatment Services.